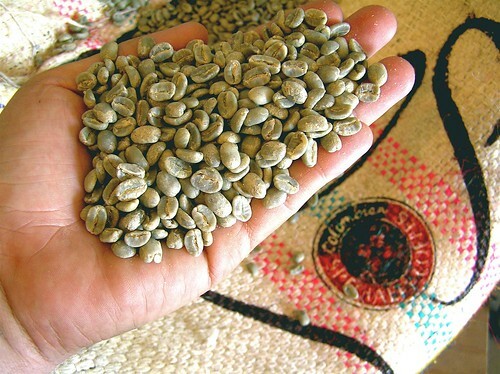 Last week, Ecco got in our one bag of the #3 La Virgnia from the Colombian First Harvest CoE. When I first tried the cupping samples of this coffee back in April, I was pleasantly surprised by the complexity. See, Colombian coffees to me has always been a thing of disappointment. Best when very hot, but any distinguishing characteristics quickly fade or turn as the cup cools, leaving something rather sour and insipid to contemplate. Dark roasted Colombians made sense, cause who’d actually want to taste the coffee. Yes, I realize that’s a rather ignorant line of thinking, but until Andrew left the sample bags at my apartment shortly after my fall, I figured the best thing Colombian coffees had going for them was Juan Valdez, and and even he’s clearing out from that scene. Those samples set my thinking on it’s head. 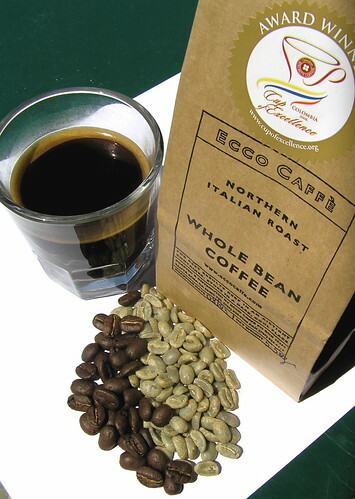 These coffees are distinctly fruity, almost winey in flavor with a sweet and pleasurable finish. Complex but graspable. At that sample roast level, the flavor was surprising and distinct, so I was eager to get into this bag. Finally, a couple of months later, it arrived. The green smell out of the bag was intense and floral. I kept sticking my nose into the opening and taking big whiffs. Andrew roasted up a batch the next day and sent it out to a few of our friends. I was so excited about getting my mouth around it, that I made a press of it just a couple of hours out of the roaster. Needless to say, the coffee wasn’t as exciting as I had hoped for. Unwilling to be discouraged, I returned to this coffee the next day with Andrew at my side. With a little time to calm down, those latent flavor began to stick out. There was an immediate citrus this that resolved sweet, similar to my impression from the cupping sample. Yeah, I get that for sure. But not being a honey man myself, that distinction is a little obscure. And to get a little further into left field, what really jumped out was this sweet white wine thing. In the description on the website, this translates to that Muscat dessert wine reference. Now not everyone is lucky enough to have a vine of said grape growing on the back deck of their parents home, but our little Muscat vine yields a bunch of little yellowish berries that begin to shine golden as they ripen. If you can beat the birds to the fruit, you’ll get a flavor that is simultaneously warm, sweet and rich. Kinda like honey, only not as syrupy. This will not be everybody’s coffee. It isn’t organic, and that it is one of the most expensive coffees on our list. However, in a scaled down press or even as a pour-over drip, the flavors just pop. Similar to our Bolivia, this will be a flavor geeks coffee. It might be difficult to let your prejudices about Colombian coffees go, but believe me, it’s worth it. Just thought I’d let you know, the full review is in. And good stuff that coffee is. I’m drinking a press pot of Ecco’s La Virginia at my table in Brooklyn right now. It’s just cooled down and I’m loving it. 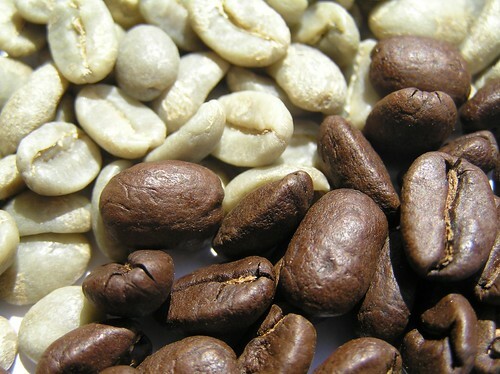 It’s great to drink a coffee and have a nice, high-res pic of the beans, green and roasted. Next to leaning against the roaster as they crack, this is about as rich a coffee experience one can expect on a Monday morning in the big city. May the coffee gods bless the Internet, bless Olga Lara, and bless you, sir. I am very glad I found your site on technorati. Thanks for the sensible critique. Me and my neighbour were just preparing to do some research about this. I am very happy to see such trusted information being shared for free out there.